Award winner Susan Adams go with everything Daisy Collection. 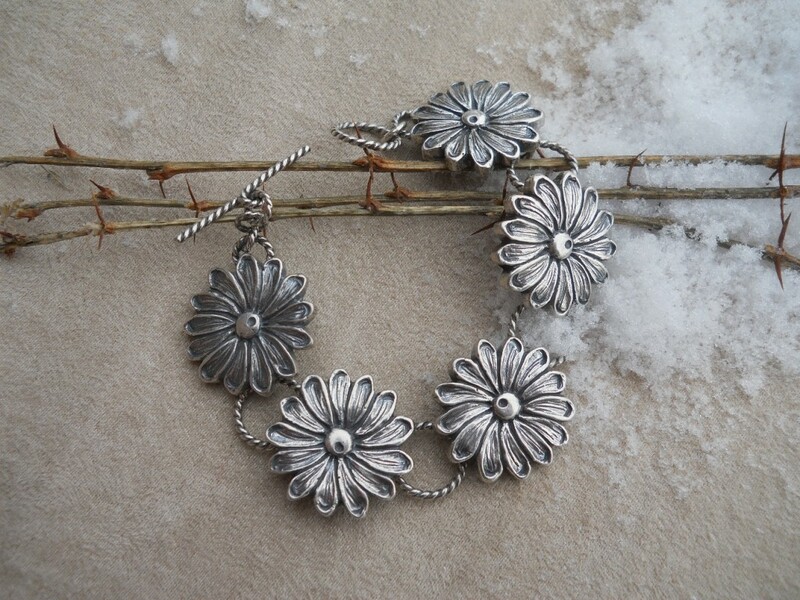 Sterling linked bracelet with five detailed daisies. Toggle clasp. Measures 7 and 1/4 inches long.